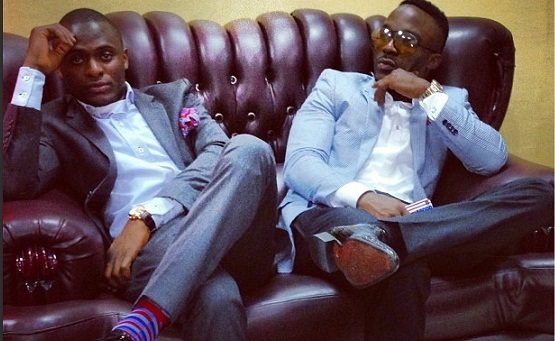 Nigerian singer Onoyum Mbuk, aka Iyanya is living a big life. His manager, Mr Ubi Franklin shared this exciting news via his Instagram profile few hours ago. The singer and her manager just acquired two multi-million naira rides. Iyanya bought a Mercedes Benz E350 model year 2012 while his manager bought a brand new Infiniti QX56 2012 model SUV. D industry is like climbing a ladder. Ma bru in d industry, im personally grateful to God 4 dis ur greater attainment of height. Enjoy ur new moro. No b 2 buy an expensive car, drink d most costly champagne in d world n wear d most expensive chains n suits! Mak them go show luv 2 OJB who needs 16m to survive of a kidney wahala.